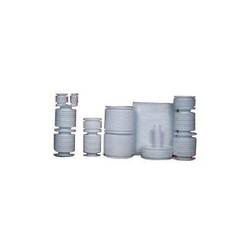 Providing you the best range of silicone rubber bellows, c type bellows, industrial teflon bellows, exhaust bellow and industrial rubber bellows with effective & timely delivery. To meet the diversified requirements of our customers, we are engaged in offering Silicone Rubber Bellows. Used specifically in various industries such as power generation, chemical, water treatment plants and several others, these bellows are highly demanded. These products are used for protecting pipe misalignment and to prevent damage of pipe-work or ducting systems. We are instrumental in manufacturing and exporting C Type Bellows. The offered bellows are made from high-grade materials and have earned is a huge clientele. These bellows are durable, resistant to abrasion and seamless in terms of finish. The offered bellows are used for protecting the delicate parts of machines in food processing, paper and cement industries. 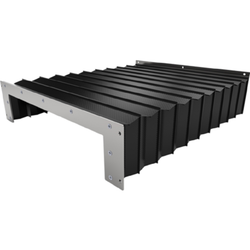 C type bellows are designed to protect the precession guideways of M/C. From coolent, Dust and Metal chips. 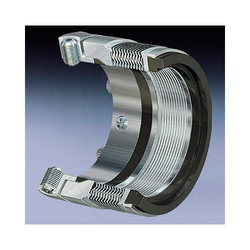 Our organization is among the acclaimed names in the industry or manufacturing and exporting Industrial Teflon Bellows. The offered bellows are extensively demanded to protect the machine in various industries including pharmaceuticals, automobile, electrical, steel, and cement. The offered bellows are made from high-grade Teflon and are precise in size. We are the manufacturers of a wide range of quality Exhaust Bellows & many more. Our wide range of Bellows are acknowledged by the customers for their excellent quality, finish. We offer our product to our premium clients at market leading rate. 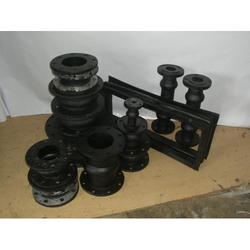 Our company is considered a trustworthy name in the business, which manufactures, exports and supplies Industries Rubber Bellows. Our customers place immense demands of the range, as these are capable of absorbing heat induced expansion or movements. Owing to the improved thermal stability, these are widely acclaimed.